AMID & TIAD organize the 5th International Conference on Business Intelligence CBI'19 a forum for researchers, practitioners and educators to present and discus the most recent innovations, trends, experiences and issues in the field of Business Intelligence. The Conference will be held in Beni Mellal city, Morocco. We welcome you to Béni Mellal city to experience the nature, history, and cultural. Muhammad Sarfraz is a Professor and V. Dean of Research and Graduate Studies in Kuwait University, Kuwait. He received his Ph.D. from Brunel University, UK, in 1990. His research interests include Computer Graphics, CAD/CAM, Pattern Recognition, Computer Vision, Image Processing, and Soft Computing. He is currently working on various projects related to academia and industry. Prof. Sarfraz has been keynote/invited speaker at various platforms around the globe. He has advised/supervised more than 55 students for their MSc and PhD theses. He has published around 300 publications in the form of various Books, Book Chapters, journal papers and conference papers. Prof. Sarfraz is member of various professional societies including IEEE, ACM, IVS, IACSIT, and ISOSS. He is a Chair, member of the International Advisory Committees and Organizing Committees of various international conferences, Symposiums and Workshops. He is the reviewer, for many international Journals, Conferences, meetings, and workshops around the world. He is Editor/Guest Editor of various International Conference Proceedings, Books, and Journals. He has achieved a variety of awards in education, research, and administrative services. Talk Title: Intelligent Systems on Paper Currency Recognition. 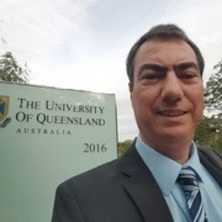 Pedro Teixeira Isaias is an associate professor at the University of Queensland, Brisbane, Australia. Previously he was associate professor at the Universidade Aberta (Portuguese Open University) in Lisbon, Portugal, responsible for several courses and director of the master degree program in Management / MBA. He was director of master degree program in Electronic Commerce and Internet for 10 years. He holds a PhD in Information Management (in the specialty of information and decision systems) from the New University of Lisbon. As an author of several books, book chapters, papers and research reports, all in the information systems area, he has headed several conferences and workshops within the mentioned area. He has also been responsible for the scientific coordination of several EU funded research projects. He is also member of the editorial board of several journals and program committee member of several conferences and workshops. At the moment he conducts research activity related to E-Commerce and E-Business, E-Learning, Information Systems in general, and WWW related areas. Hammou FADILI is a researcher at Conservatoire National des Arts et Métiers (CNAM). He is a member of the information systems team, named Ingénierie des Systèmes d'Information et de Décision (ISID). Also, he is a technological manager and member of the scientific council of the France-Maghreb program. His research work concerns especially these areas: ♦Semantic Web, WEB 3.0 ♦ Machine learning (supervised, unsupervised, etc.) ♦ Digital Humanities ♦ Automatic Natural Language Processing (NLP) ♦ Language & Context Modeling ♦Detection and anonymisation of sensitive data ♦ Semantic mining of structured and unstructured data ♦ (Linked, Big, Smart) data. He is a member of the program committee and member of the organization committee for various conferences. He is also a reviewer for some journals. He is (or was) involved in many ANR or European research projects. Talk Title: An approach based on machine learning of latent semantics from textual (unstructured) data. 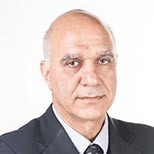 Azzeddine Mazroui is a full Professor at the Faculty of Science of Mohammed First University, Oujda, Morocco. In 1993, he obtained his PHD in Statistics from Pierre & Marie Curie University, Paris 6, France. He also obtained in 2000 a 'Doctorat d'état' in Approximation from the Mohammed First University, Oujda, Morocco. Since 2006, his research is oriented towards natural language processing. He is a member of the Research Laboratory in Computer Science at University Mohammed First and Director of the Natural Language Processing Team. He participated in the development of several open source tools for the Arabic Natural Language Processing (Alkhalil Morpho Sys - Alkhalil POS Tag - Alkhalil Lemmatizer - Alkhalil Stemmer - Alkhalil Diacritizer - Al-Mus'haf Corpus - ....). He also supervises several theses and is a member of several international research projects. Rachida Ajhoun est professeur de l’enseignement Supérieur à l'ENSIAS (Ecole Nationale Supérieure d'Informatique et d'Analyse des Systèmes) Université Mohammed V Rabat, Maroc. Elle a obtenu son diplôme de doctorat d’état en sciences informatiques (adaptabilité des cours à distance) de l'Ecole Mohammadia d’Ingénieurs, Maroc en 2001. Elle est membre fondateur du e-Learning Center de l’Université Mohamed-V-Rabat. Elle a été nommée directrice de ce centre de 2011- 2015. Responsable de l'équipe de recherche LeRMA (Learning and Research of Mobile Age) à l'ENSIAS. Elle est responsable de plusieurs projets (recherche et formation) nationaux et internationaux en e-Learning. Pr. AJHOUN a participé à plusieurs projets de formation en e-Learning et MOOCs. Elle est responsable du projet « Production du premier MOOC marocain » soutenu par l’AUF en 2013. Conseillère technique au sein du Ministère de l'enseignement supérieur, de la recherche scientifique et de la formation des cadres et responsable du projet "Ressources Pédagogiques Numériques" du programme e-SUP durant 2013-2014. Elle est membre fondateur de l’association GUIDE (Global Universities in Distance Education) crée en 2005 et représentante de la région Afrique entre 2008-2012. Elle est membre senior de l'IEEE, membre du comité consultatif de la conférence EDUCON. Elle est aussi membre fondateur et présidente de l’association e-ngn ((e-Next Generation Networks) entre 2008 et 2013, siégé à l’ENSIAS, UM5-Rabat. Elle est l’auteur et co-auteur de plus de soixante articles et des communications et auteur d'un livre et de 3 chapitres de livres sur l’e-learning. Directeur de 14 thèses en digital Learning dont 7 soutenues entre 2009 et 2017. Talk Title: Comment l'Intelligence Artificielle peut-elle améliorer la qualité de l'apprentissage ? Anibal Manuel de Oliveira Duarte is a full Professor at Department of Electronics and Telecommunications at Institut of Telecommunications, University of Aveiro. He received his Master and PhD degrees from the University of Essex in 1981 and 1984 respectevely. His research areas focus on technique developments and approaches for: Very high speed wireless systems; Integration of wireless devices in multi-disciplinary platforms; efficient spectrum management and energy consumption reduction in wireless systems; Channel and devices physical modelling. Abdelillah Mouaddib is a Professor, exceptional class, at the University Caen Basse-Normandie. He completed his secondary studies in Beni Mellal, and university in Nancy in France where he obtained his Bachelor, Master, DEA and PhD degrees in Computer Science. In 1995, he was appointed lecturer, then in 2001, Professor at the Caen Basse-Normandie University. He has participated in several national and international projects with leading academics and industrialists such as Massachussette University, USA; "The sapienza" Italy; McGill, Canada; global research centers like NASA between 1999-2003, the DGA from 2003 to 2014, manufacturers like General Motors, USA, THALES, Dassault, Airbus, EADS. He has participated in the production of more than 150 publications, thesis and scientific reports. Professor Ebad Banissi is a full research professor in the Department of Informatics at London South Bank University. He joined the University in 1994 with a PhD in Computer Graphics from Brunel University. His lecturing and research interests lie in the area of Computer Graphics and Visualisation and Analytics. Ebad leads the Visualisation and Graphics Research Unit (VGRU) which currently has 9 doctoral research students and a number of Knowledge Transfer Partnership associates. He also coordinates the postgraduate degree dissertations within the Department of Informatics. He has been a college member of the EPSRC and is a member of the University's Research Degrees Sub-Committee, and co-chair of the Engineering, Science and Technology Sub-Committee. Ebad is one of the original members of the Information Visualisation (IV) Forum in Europe and the Computer Graphics, Imaging and Visualisation (CGIV) Forum in Asia, and he has chaired number of international conferences. He was the one of the founding members and chair of the Information Visualisation Society. He set up the annual workshop on "PhD workshop on Computer Graphics and Visualisation". He is a member of both IEEE Computer Science and ACM SIGGRAPGH.